In a world with increasing energy demand nuclear fusion can play a role as it has the potential to be a sustainable and powerful electricity source free of CO2 emissions. In the core of the Sun, gravity compresses plasmas to densities ten times higher than that of lead. On Earth, fusion of light nuclei requires complex devices that make use of strong magnetic fields to confine and heat plasmas to temperatures in excess of 100 million degrees Celsius such that fusion can occur. The proof-of-concept of nuclear fusion has been made in the late 1990s, confirming that gaining energy from the fusion process is plausible. Today, the next step international device, ITER, is being built and intensive research & development is underway to establish fusion as a reliable energy source on a large scale. Two organisations are coordinating the Europe-wide activities directed towards realizing fusion energy generation: EUROfusion and Fusion for Energy. Both organisations are represented in EIROforum via EUROfusion. The ‘European Consortium for the Development of Fusion Energy’, EUROfusion, coordinates fusion energy research in 28 European countries* through 30 Consortium Members and about 150 universities, laboratories and industry. Its research & development programme combines European and national resources to carry out a coherent programme that is aligned with the European Roadmap to fusion electricity. The research programme involves the collective exploitation of the Joint European Torus (JET), the world’s largest operating tokamak. 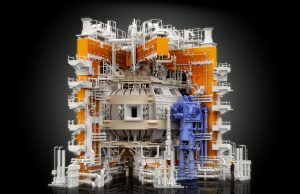 JET attains plasma conditions sufficient for fusion to occur and is giving invaluable input for the design and operation of ITER which will start with experiments in the mid 2020s. A range of national devices in Germany, France, Switzerland, UK, and The Netherlands contribute to the programme, which is further accompanied by a strong theoretical and computational effort. From 2017 onwards Fusion for Energy has joined the cross-organisational partnership EIROforum. 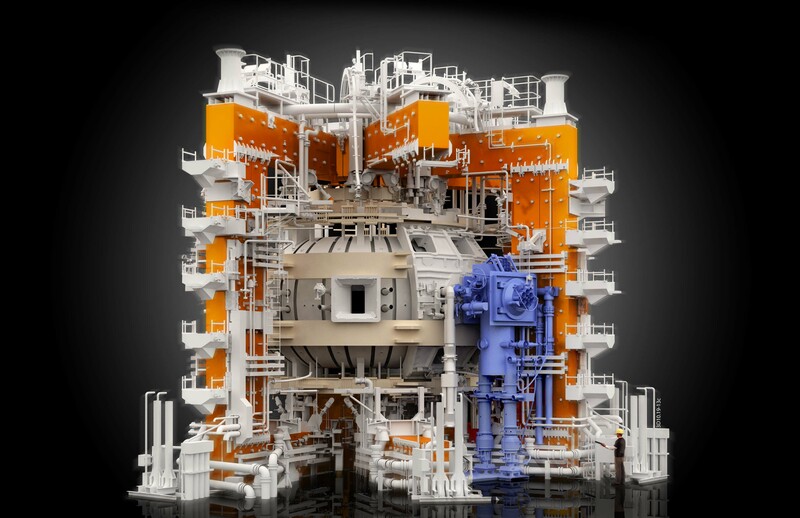 With EUROfusion focussing on research, Fusion for Energy the “EU’s Joint Undertaking for ITER and the Development of Fusion Energy” works in close synergy with the Consortium, with a focus on the establishment of new research facilities. Fusion for Energy is responsible for the European part of the construction of ITER and for this purpose works closely with European industry. Additionally, Fusion for Energy is in charge of the construction of other large research devices such as the satellite tokamak JT-60SA and the high-current deuteron accelerator LIPAc, the so-called Broader Approach Projects. *Austria, Belgium, Bulgaria, Croatia, Cyprus, Czech Republic, Denmark, Estonia, Finland, France, Germany, Greece, Hungary, Ireland, Italy, Latvia, Lithuania, Poland, Portugal, Romania, Slovakia, Slovenia, Spain, Sweden, Switzerland, The Netherlands, United Kingdom and Ukraine.